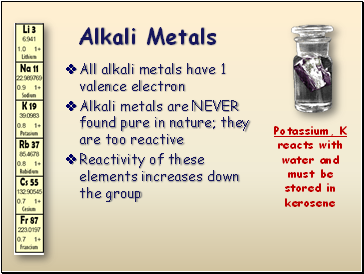 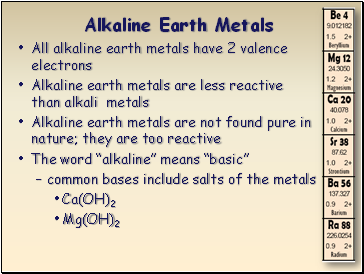 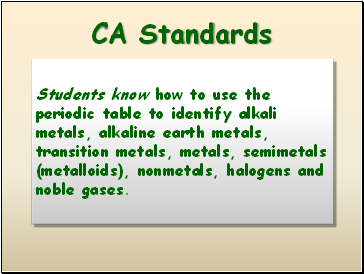 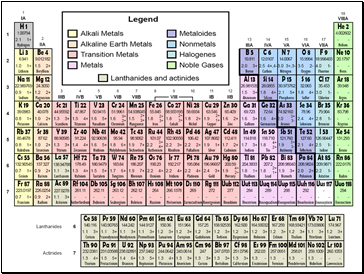 Students know how to use the periodic table to identify alkali metals, alkaline earth metals, transition metals, metals, semimetals (metalloids), nonmetals, halogens and noble gases. 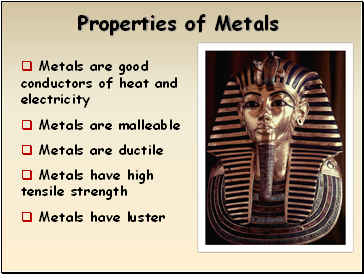 Copper, Cu, is a relatively soft metal, and a very good electrical conductor. 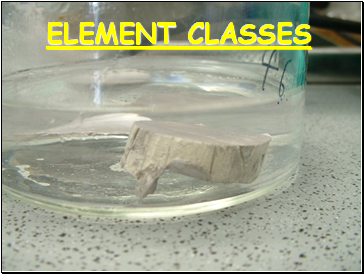 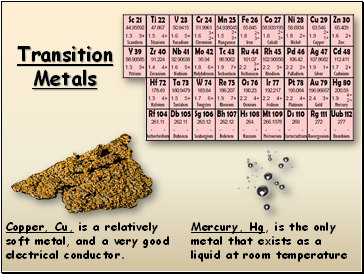 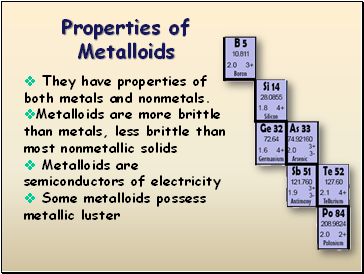 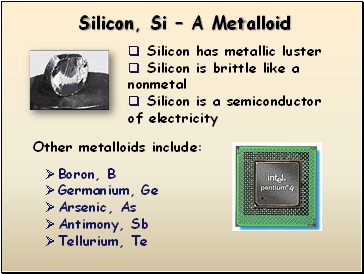 They have properties of both metals and nonmetals. 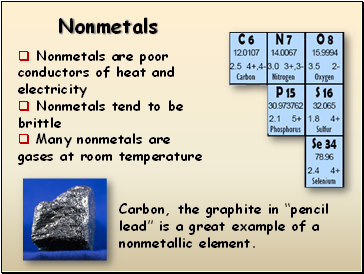 Carbon, the graphite in “pencil lead” is a great example of a nonmetallic element.